The structure of the science blogosphere is changing. That much is apparent to anyone who follows any of the many talented writers who sail under the flag of ScienceBlogs. Several of the most popular writers have left, gone on strike, or are in the process of deciding their fate. I don’t need to rehash any of that, Bora has done that for us. I started this little blog, Southern Fried Science, on the advice of Kevin Zelnio, to improve my writing and to start thinking, as an early career graduate student, about public outreach. Kevin, Craig, Rick, Miriam, Eric, Jason, Karen, and Mark were my role models. I followed their examples, modeled my blogging on theirs, drew from their experience and learned from their mistakes. 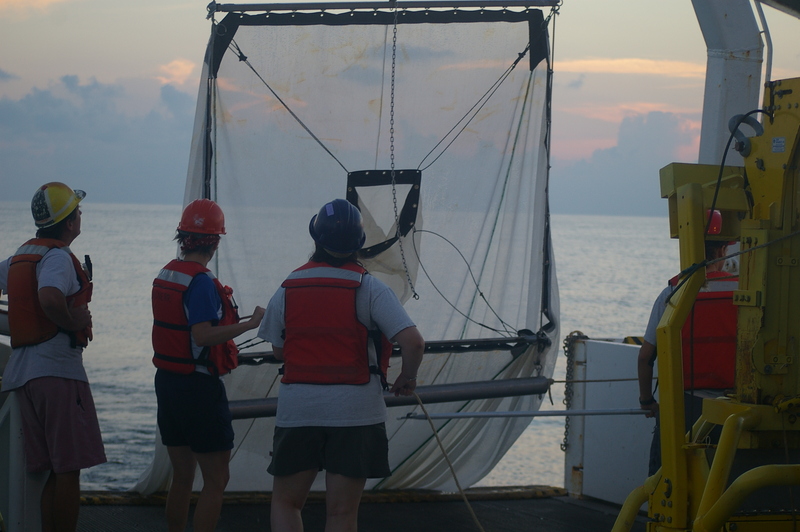 A survey of the horizon reveals that the ocean science blogs are relatively independent. I have never felt a need to join a network. From the very beginning I felt like Southern Fried Science was already part of a larger community. When I invited my friends David, Amy, and William to join the site, it wasn’t for community expansion, increasing pageviews, generating revenue – I just thought it would be fun to blog with my friends, and they had interesting things to say. And that’s really the foundation behind the Southern Fried Science Network. Good bloggers, given free range over their blogs, with the freedom and flexibility of a self-hosted platform, and the support that comes with being part of a community. My vision is not to bring in the heavy-weight bloggers, but to provide a venue for smaller, newer, less well known blogs to find their audience. And, most importantly, to build a community of writers and scientists who are excited to interact with each other and the public. The Gam is not just another nautical metaphor from an ocean blog, it is what we are. Blogs in the network all fly the flag of Southern Fried Science, but each has its own captain, its own goals, its own direction. We come together to exchange ideas, provide support. Bloggers can be as connected or as independent as they want. The structure of the blogosphere is changing, but the substance remains the same. Great writers are still writing, loyal readers are still reading. Old networks will break down and new ones will form. The ScienceBlogs model could be likened to a massive fleet, powerful, but difficult to manage under a single admiral. Southern Fried Science Network is more like a group of privateers. We hope you’ll follow us on this voyage. And to all those blog castaways searching for new harbors we wish you fair winds and following seas. Jazzed to see you people starting this. a venue for smaller, newer, less well known blogs to find their audience. OK, that makes sense. Personally, I don’t find the blog networks appealing, but for someone getting started, I can understand the attraction. You are like a nice hard substrate for the little planulars to settle on. Sweet.